These interactive maps provide state-by-state data on food hardship (See FRAC’s report How Hungry Is America? 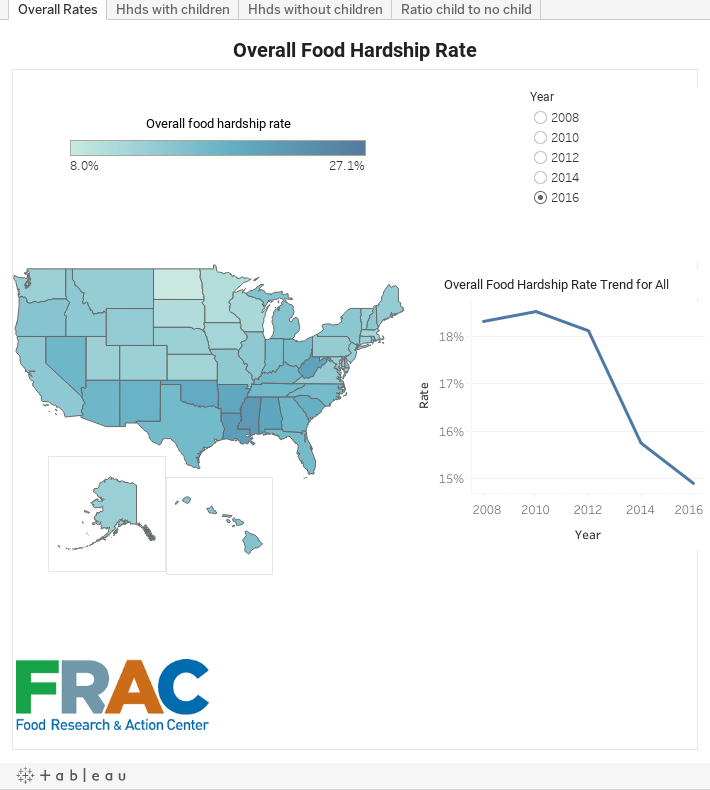 FRAC’s National, State, and Local Index of Food Hardship). Follow this link to the interactive tables.